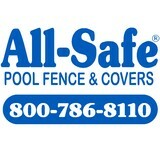 All-Safe Pool Fence & Covers was founded in 1992 and has been providing quality pool safety barriers for 20+ years. Our focus is to reduce the risk of drowning. Nothing is 100% effective, but every layer of protection helps. And for this reason, we have added as many types of pool safety barriers as we could find. We initially started with pool fencing and then added pool safety nets. Soon after we added winter pool covers and automatic pool covers. 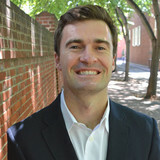 We evaluate each backyard and help you decide what is going to work best for you and your family. We have the largest selection of pool safety barriers in the country. Our pool fence is designed specifically for the safety of young children. The mesh is transparent and allows a clear view of the swimming pool area. The flexible nature of the mesh makes it difficult for young children to climb. The fact that it is removable is nice so that you have the option to remove it when it may not be needed, like during an adult pool party. Holes are drilled into the deck about every three feet and aluminum support poles are inserted. When it is time to remove the pool fence, you simply pull the fence up out of the holes and roll it up for easy storage. The aluminum pool fence support poles are powder coated in various colors to blend nicely with your backyard. Access to the inside of the pool fence area is provided by an optional self-closing pool gate. This pool gate is lockable as well. We also offer several types of pool covers. Each cover works a little differently. Our most popular cover is our pool safety net (also referred to as a net pool cover). Our pool nets are made from polyethylene which is strong, waterproof and floats. The squares are three and one half inches wide which is small enough to keep a small child's head from slipping through, yet large enough prevent a child from easily climbing across the net. When not in use, the pool net is rolled up onto a roller for storage. Our second most popular cover is an automatic pool cover. These pool covers are the most expensive but also the easiest to use. With the touch of a button, the cover opens or closes. Electric pool covers also help to retain heat and reduce evaporation. The cover must be rectangular and is not suitable for all pool shapes and designs. We also offer winter pool covers and leaf pool covers. Our winter pool covers are both safety covers and debris covers. Our leaf pool covers are primarily designed for leaves and debris. At Custom Metal Group we take pride in our quality service to our customer and our product. Custom Metal Group main goal is to deliver only the best quality, service, and customer satisfaction by having only the best workmanship. The job must always be on time and completed in a timely manner. We use highest quality U.S. steel that shows our investment in providing our highest quality standard, Our installations must be always clean. No job is to small or unimportant, every customer must be attended with care. Our Business will be known for being the best in everything it does. Gates, Handrails, Security Doors, Gate Automation, Sliding Gates, Swing Gates, Lighting Fixtures, Fences, Sandblasting and Powder Coating Repaint, Chandeliers fabrication of any Metal Concept design. Lifescaping Outdoors offers world class outdoor living spaces! From synthetic grass to beautiful paver systems to outdoor kitchens and even the finest fencing available to surround the space. Lifescaping Outdoors is California's premier artificial/synthetic grass installer. We specialize in both the residential and commercial artificial/synthetic grass landscaping and sport markets. We pride ourself on our award-winning customer service and synthetic turf manufacturing. Lifescaping Outdoors delivers a quality purchasing experience from the initial consultation to installation. As a locally owned business, Lifescaping Outdoors offers leading edge technology in synthetic grass from one of the world’s largest, most advanced manufacturers. Our products are known for their dependability and versatility. Because, we have a large selection of turf to choose from, you can choose the option best for you. Lifescaping Outdoors is committed to providing the highest level of customer satisfaction, integrity, respect and quality people. From landscaping to pet resorts to soccer fields and rooftops — and everything in between Lifescaping Outdoors has you covered. Marquez Iron Works is Orange County’s best value in custom iron work. We are experts at designing and installing beautiful and long-lasting iron fences, gates, railings, security doors, window guards, property fencing, and more. In business for nearly 20 years, we have earned the trust and respect of thousands of residential and commercial clients. They continue to recommend us because of our exceptional workmanship, superior customer service, and competitive prices. 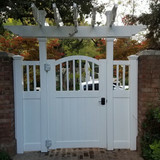 Our team of experienced, professional craftsmen can handle fence and gate installation jobs of all sizes, from a thousand-foot long property fence in Rancho Santa Margarita, to a hand-forged wrought iron stair railing in Laguna Niguel, or an automatic driveway gate in Newport Beach. Because we have our own in-house, full-service, ornamental metal shop, we can custom design and craft nearly any design to meet your aesthetic preferences, functional needs, and budget. In addition, we also offer high quality commercial perimeter fencing, security access gates, window guards, handrails, and more. Call today to schedule a free onsite estimate and personalized design consultation. Saddleback Fence and Vinyl Products provides our customers with scientifically advanced vinyl and aluminum fence products, aluminum patio covers, composite decking, and much more! We are an E Verify Systems Employer meaning that all of our employees have passed a very thorough background check so you know who is on your property. Our Workman's Comp. and General Liability Insurance is provided for your protection because accidents do happen and you should not be liable. Our product warranties do not have any "Exclusions" we cover everything from chalking to oxidation. We build everything specific to your job for perfect installation. We have 30+ years of combined experience and in addition to working with homeowners we work on large commercial projects. We have a beautiful showroom open from 7:00 am to 3:30 pm Monday through Friday. Saddleback Fence and Vinyl Products is located in Costa Mesa, CA where the 55 Freeway meets the 73 Freeway. Come say hi! 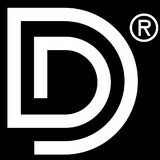 With over 35 years experience family owned and operated working dawn to dusk , with a hunger for success, dedication to customer satisfaction and disciplined work ethics. Bridge Fence Inc., has now grown into a high-quality fence installation company with it's focus on quality, safety and customer commitment. Specializing in: Chain Link, Privacy Chain Link, Ranch Style, Solid and Decorative Vinyl, Wrought Iron, Wood, Dog Kennels and Solar motors. Remember Bridge Fence, Inc. - Is here to help you with all your fencing needs. We are available by phone, or email. So give us a call today. And let us see what we can do for you. Our estimates are FREE! Your Mead Valley, CA fence installation and repair professional will work with you to create your ideal fence. Find a fence contractor in Mead Valley, CA on Houzz. Narrow your search in the Professionals section of the website to Mead Valley, CA fence contractors. You can also look through Mead Valley, CA photos to find examples of fencing and gates that you like, then contact the professional who worked on them.